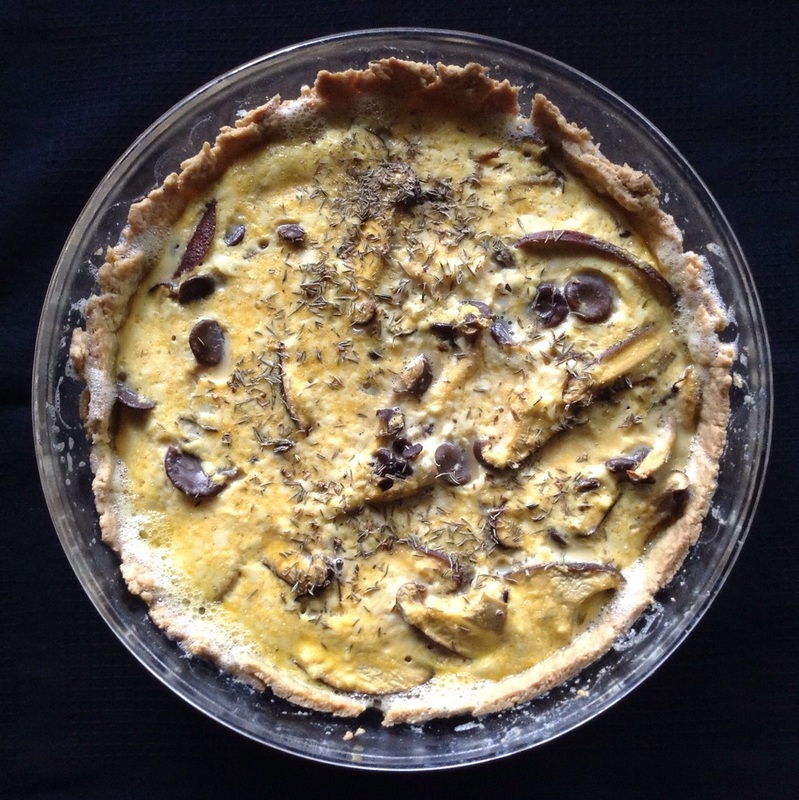 Since spring has decided to go away and winter is back, I wanted to eat a warm and thick mushrooms tart. I made the dough with buckwheat flour and olive oil (not an easy one to shape) and for the rest a mix of fresh shiitake, fresh sort of shimeji, a big block of silky tofu, 2 eggs and thyme. I put everything in a deep pie dish to obtain a thick tart, about 3cm high. All in the oven for 30min and ready to eat just out from the oven. Nothing too innovative but always a warming choice. Born and raised in Aix en Provence, France, studied in Nantes, France and Paris, France, then moved to Tokyo, Japan in 2004.